A progressive lens is a multifocal lens, which helps the wearer see objects clearly at any distance whether they near or far. Essilor said the need for progressive lenses increases as a growing number of people spend many hours every day on digital devices. 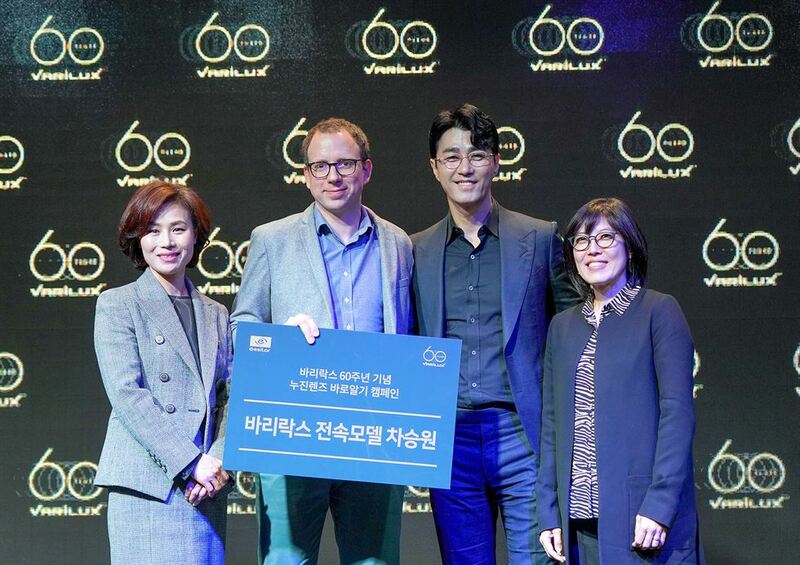 Lisa Soh, Essilor Korea CEO, said more than half of all Koreans will have presbyopia, which means 'old eyes'in Latin, by 2020, but the adoption of progressive lens has remained relatively lower than other countries because many Koreans have a bias against people wearing progressive lens. "We estimate about 11 percent of glasses wearers here are using progressive lenses. This is lower than other countries such as France at 65 percent, the United States at 38 percent and Malaysia at 24 percent," Soh said during a conference at the GLAD Hotel Yeouido in Seoul. "Due to increasing smartphone obsession, Koreans' average hours of using smartphones per day is 5.5 hours, so more people will have presbyopia," she said. Essilor was created in 1972 through the merger of two French optical firms, Essel and Silor. It has been selling its signature progressive lens Varilux. To increase the adoption rate of progressive lenses here, Soh said it will launch a series of campaign programs promoting the positive effect of wearing progressive lenses. The Korean unit also plans to hold information sessions for local opticians. Sebastien Fricker, a senior researcher of the firm, said wearing progressive lenses can help wearers regain confidence. "By wearing progressive lenses, men and women who start to feel the first signs of aging with their weakening sight can regain their confidence," the researcher said. He added its Varilux progressive lens has been differentiated from other products, as the firm has been offering highly customized products to each customer. "We have billions of combinations for each person and 96 percent of wearers are satisfied with the quality of vision," he said.